I learnt early on as a wedding photographer how to eliminate distractions to create stunning images that are worthy of display as art pieces. This photograph was captured during a Nigerian Wedding in Dubai in the busy hotel lobby of Ibn Battuta Gate Hotel which is a magnificent grand hall with its 88 giant lanterns on the ceiling all across which add to the beautify of the Arabic heritage. 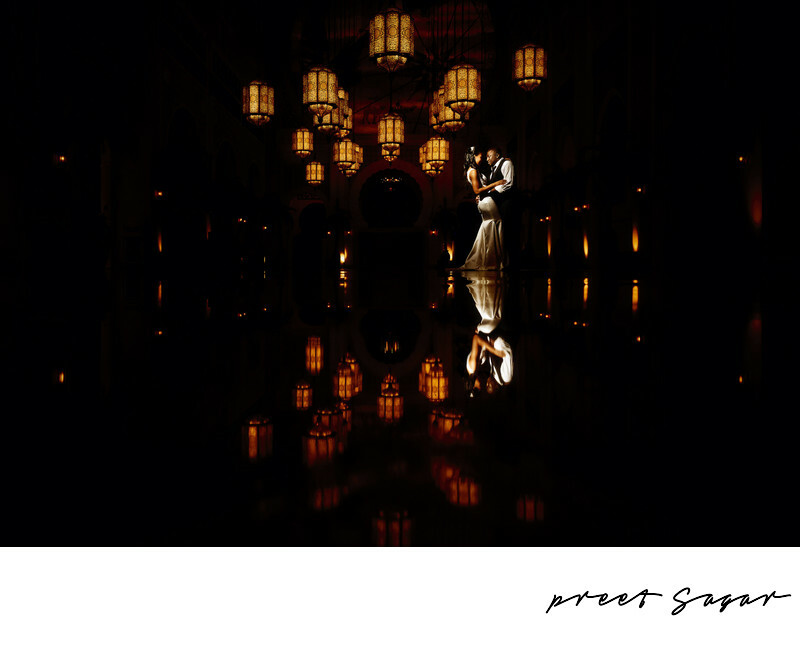 Hotel with beautiful and authentic Arabic architecture is one of the preferred locations for weddings in Dubai. This Luxury hotel is closely located to Ibn Battuta Shopping Mall and the Dubai Metro, with easy access to Abu Dhabi and Dubai. Hotel is closely located to Top Attractions in Dubai - The Palm Jumeirah, Dubai Marina and Jebel Ali Free Zone are nearby. Filename: 1-P2S_1200-Edit-BW.JPG. 1/200; f/6.3; ISO 4000; 24.0 mm.